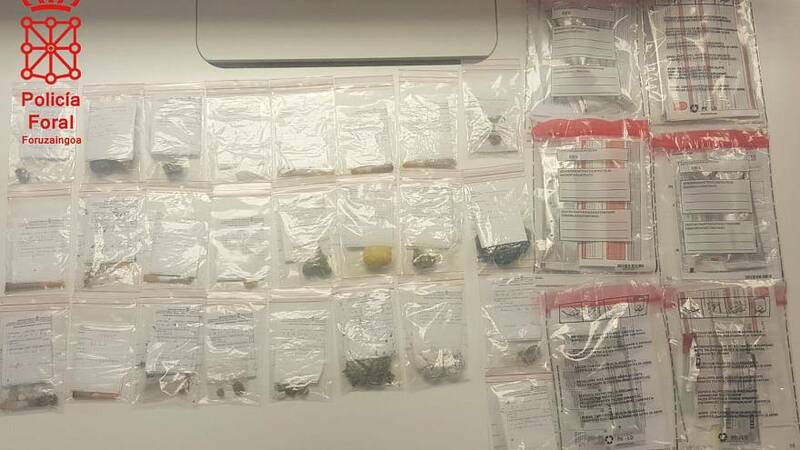 A driver in northeastern Spain has tested positive for ‘every possible kind of drug’ after being pulled over by police on Saturday. Police found high levels of cannabis, amphetamines/methamphetamine, cocaine, opiates; as well as alcohol, with a rate of 0,60 mg/l. Local police told Euronews that a neighbour in the town of Carcastillo called the police saying that "several people were getting in a vehicle influenced by alcoholic beverages." The driver was fined 1000 euros and had six points deducted from his driver's license for failing the alcohol test, and another 1000 euros and six points for failing the drugs test. The maximum number of points on the Spanish driving licence is 12. The vehicle was impounded, but the custody has now been lifted, local police told Euronews. Was the driver actually high on drugs? Police pointed out that the fact that the driver tested positive does not necessarily mean he was under the influence of these substances, or even that he had used them that day. The period of time that substances remain in the body depends on the person and on the substances themselves, among other factors. The difference between "presence of drugs in the body" and "being under the influence" has been the subject of many controversies and even appeals in court. The Navarra Regional Police uses the Securetec Drug Wipe 5 test. Despite the scandalous nature of the case, the offence is categorised as "administrative" and the driver will not have to appear before a judge. His fate will be determined by the Directorate General of Traffic. EU countries have different rules for addressing drivers under the influence of drugs, according to the European Monitoring Centre for Drugs and Drug Addiction. Some use roadside saliva tests while others rely on physical indicators observed by police on the scene, with a blood test as confirmation in both cases. Driving under the influence of drugs can lead to jail sentences of two years or more in some countries, while others do not send offenders to prison. Although the driver's condition went against traffic regulations, the number of car-related deaths in the Spanish region of Navarra stands as low as it's ever been. "Yep ... America is not the only place with a liberal problem", posted a user in Euronews' comments section. Others were sceptical: "Let's just break this down, there are five drugs on the test. If he smoked a joint within the last two months or so that accounts for the cannabis. If he had three beers that night it accounts for the alcohol. If he took a line of cheap coke it almost certainly contains some speed as an adulterant, so that's both of those taken care of. Now take one headache tablet or eat a poppy seed muffin and you also test positive for the opiates part. Congratulations, you are stone sober but tested "positive for every drug" according to this headline." While some readers seemed supportive: "My man" cheered Olive8Ball. What do you think? Leave us your thoughts in the comments section below.